The Lightning, who matched the NHL record for most wins in a regular season with 62, are close to having their backs up against the wall in the first round of the playoffs. 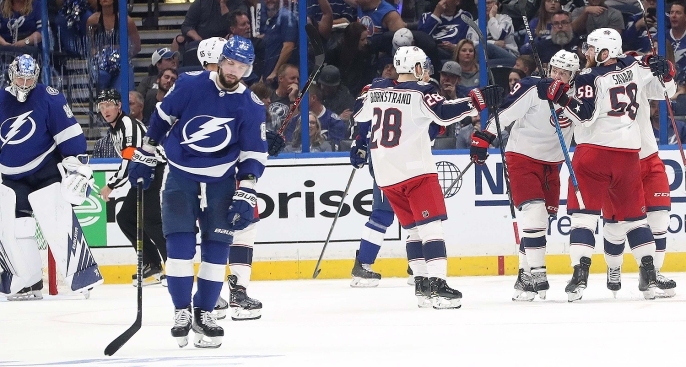 Tampa Bay will try to avoid a 3-0 deficit against the Blue Jackets on Sunday as the series shifts to Columbus, Ohio. The Penguins and Jets also need wins to avoid the same 3-0 hole in their respective series. Below is the full schedule for Day 5 of the 2019 Stanley Cup Playoffs. You can watch the entire playoffs on the networks of NBC.